This inlet kit made a record 500whp on stock turbos!! 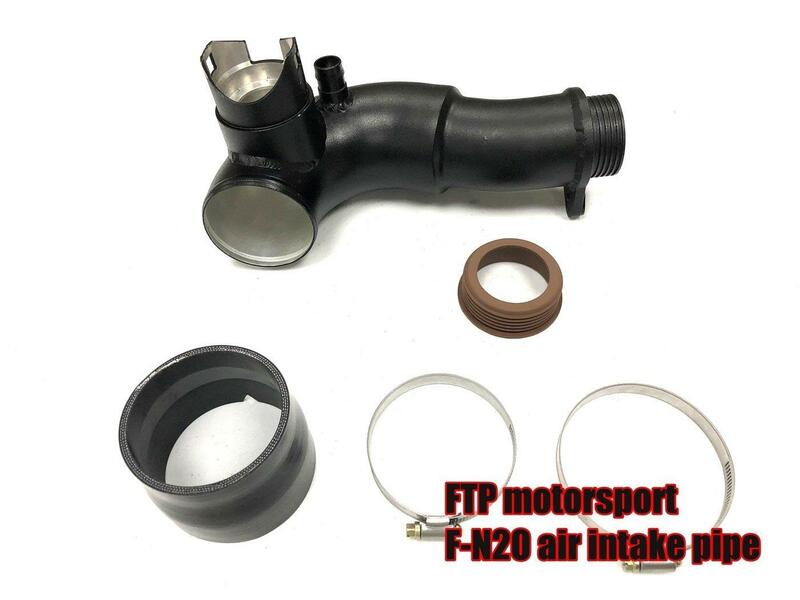 This is the ultimate high flow inlet kit for you N54 engine. It upgrades your stock inlet pipes which are around 1" ID at the smallest point and also flatten out like pancakes. The kit is made from all 2.5” aluminum pipe (biggest on the market for intake pipes) and heavy duty silicone elbows/adapters. With this kit you will be able to maximize the power from your stock or upgraded stock frame turbos. RHD cars not currently supported. .These inlets are 1.75" connection to the turbo. They won't work with VTT stage 2+ turbos or RB EVO/Stealth turbos that have - custom connections larger than 1.75". All other hybrid turbos from VTT, RB, Hexon etc and also stock turbos will fit the inlets. .This kit is 100% complete it comes with everything you need to relocate the coolant tank, vacuum reservoirs, power steering tank, install high flow inlets with new filters, attach new vacuum lines and attach new crank case vent line.